Please contact owner Jeff at 920-410-nine two eight seven. 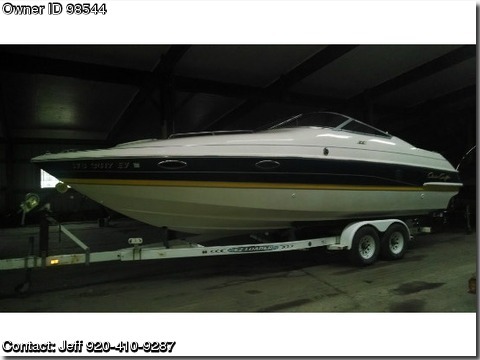 Boat is located in Oshkosh, Wisconsin. 1995 Chris-Craft 27 Concept,1995 Chris-Craft 27 Concept with trailer. 454 engine with low hours. Standup head, sink, fridge, wrap-around seating.